The Red Planet Series RP-200SP now comes bundled with a smartphone adapter! With the smartphone adapter you can take pictures or video of the night sky through the telescope and share with friends and family. 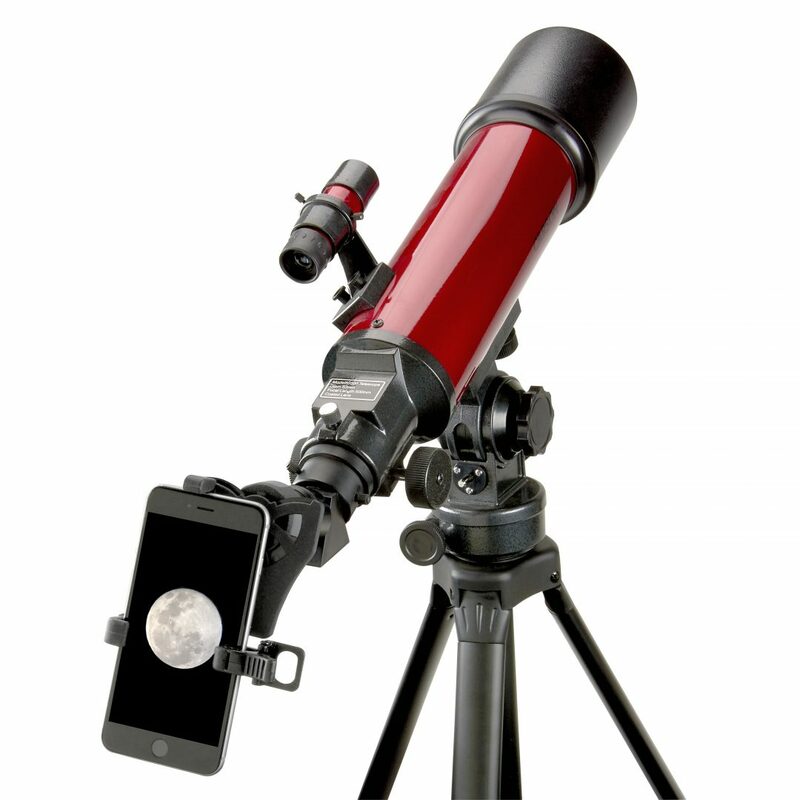 Connect the included adapter to your smartphone and attach to the telescope. Will accommodate all the popular smartphones on the market. The RP-200SP is a Refractor telescope. It features superior, fully coated optics and a high quality, heavy-duty aluminum tripod. The RP-200SP features a Horizon mount with slow motion cables for smooth, easy tracking of celestial objects. Use the Red Planet telescopes to view the Rings of Saturn, the Moons of Jupiter and much more. It features an 8x21mm finder scope, two high quality eyepieces and an erecting prism for the best viewing results. The RP-200SP comes with a K20mm and K9mm eyepiece. The erecting prism can be used to flip the viewing image right-side up making this telescope perfect for both terrestrial and astronomical viewing. The Red Planet line features a sophisticated and sleek design so attractive you will be proud to keep it out all year round and it will blend nicely with any décor.